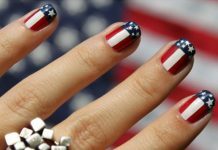 Women love to style themselves up with the latest of fashionable accessories and clothing, and we mustn’t forget to mention about striped nail art trend that is catching these ladies’s fancies like Brad Pitt usually does! Ahem…lol…today we are bringing you a post that would show you exactly how you gals can get those perfectly shaped striped nails by following these 10 must to do steps. Striped nails are in vogue these days with every nail boutique offering you trendy nail art designs that look chic and compliment your beauty. But, there is one hitch for the first time ‘nail strippers’, and that would be the perfect way to draw or make those crisp stripes without your fingers getting fumbled. 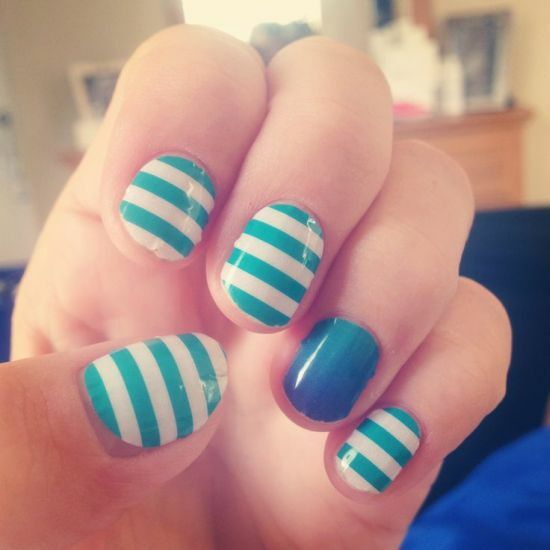 Hey..worry not as this tutorial would help you get striped nails in no time! Come take a look before you get started. Before you start with applying stripes on your nails, you must take care to file your nails and remove any old nail paint that looks chipped and stale. This is the first step and must not be ignored if you have to get gorgeous striped nails. 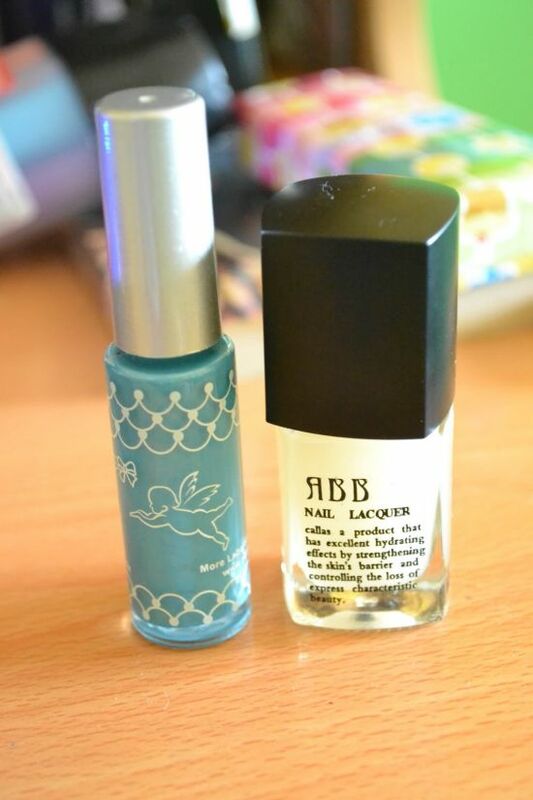 You can apply cuticle oil as most women do to cleanse their nails before applying any new paint or nail art. One can use ear buds for applying oil as shown below. After you have clipped your nails and cleaned them up, you must paint them with a thin coat of base polish. Doing such a thing prevents your nails from appearing yellow once the main color has been applied. It also helps in longer retention of your striped nail art design. The third step towards getting the perfect set of gorgeous striped nails is to let the base coat dry up and then applying a shimmering nail polish that looks metallic. The color can be golden, bronze or even silver depending on your liking. If you coat a thick layer of glitter, it can ruin the very look of your nails and stripes will get over shadowed which is a thing that you wouldn’t want. Now, wait for at least a few minutes to let your nail paint dry. 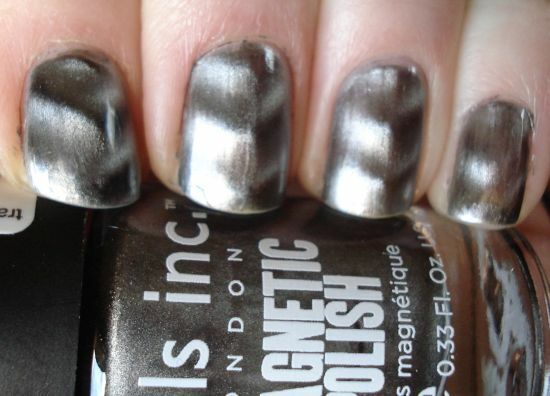 After your nail paint gets dried up, then only you must apply such a polish that is matte finished and matches well with your metallic nail color. Also, use a medium sized brush to apply this color as a big brush can spread the paint and smudge the whole design. 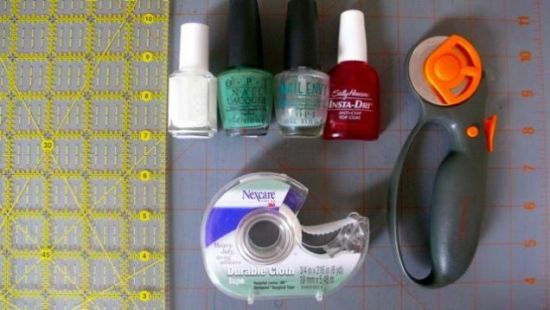 After your nails have dried, now is the time to arrange for the above mentioned tools that would help you cut out strips that you wish to stick on your nails. Such tools may appear as if one needs a whole lot of expertise to use them, but this is not the case and every girl can make strips using these. A cutting mat and a rotary cutter are easily available in the market. Now, you need to put a piece of your tape on the cutting mat for cutting out ribbon like strips. These strips shouldn’t be too thick or too thin. One can make use of a cutter or a knife for cutting strips as one feels. However, the knife used must be sharp, and for tape you can utilize medical tape that you can find in any first aid kit in your house. If you don’t want to use a surgical tape, there are other options too like using ready to use strips that are sold in cosmetic shops. 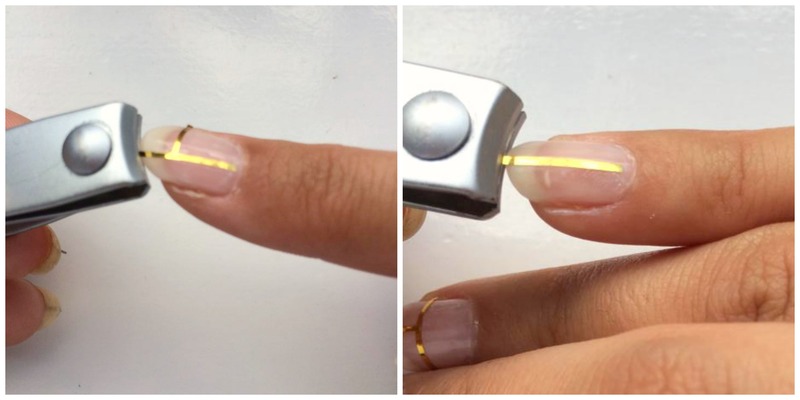 Once, your strips have been cut out, you have to start putting these on your nails carefully. 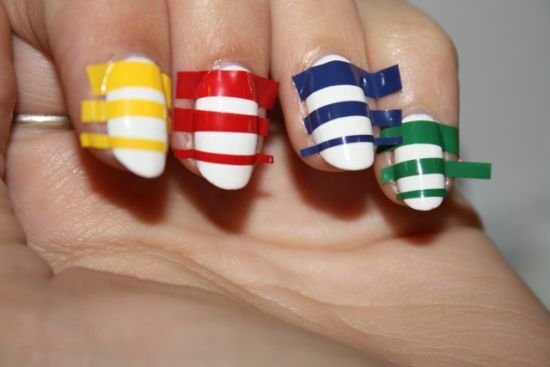 If you wish, you can make these strips look colorful by painting these with various nail paints like green, red or yellow. Let these dry up and then you can stick these on your nails. Also, cutting strips in the descending order and sticking these in the same manner helps you to attain the right striped look. After your strips have stuck well on your nails, the edges can be clipped using a nail cutter or a cuticle cutter as one may desire. 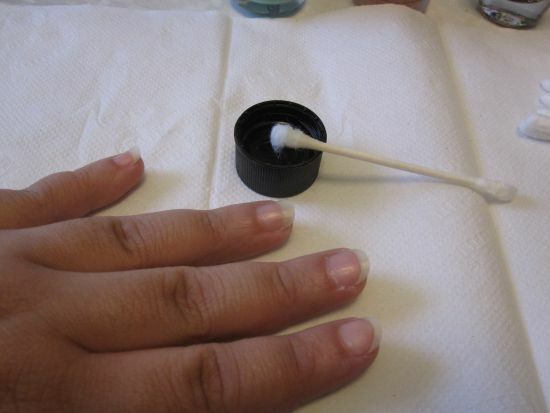 This is a touch up that is required for getting that perfect striped look for your nails. 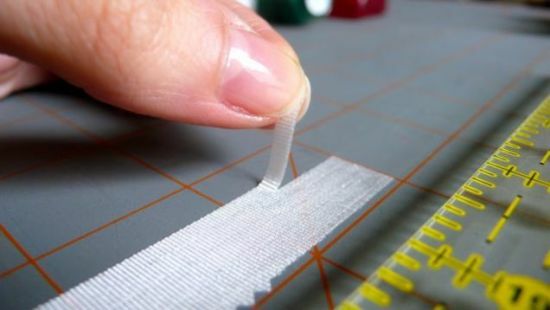 Once, you have clipped off the edges of your strips, you need to watch your nails if they are looking clean and good. Even a little unclear work will ruin the way your strips look. That is why it is always better if you can get hold of a big mirror and see for any residual tape that has not been cut off properly. Once the nail strips are in place, you must not forget to coat your nails with a clear nail polish that will give a final touch to the nail art and make it appear shimmering. Doing such a thing prevents your nail strips from coming apart too easily. 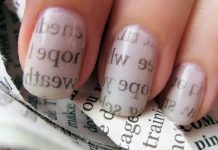 Nail art tutorials like the one seen above are an amateur’s guide to get funky looking striped nail designs that are much in demand this year. Following the above mentioned easy nail tutorials will help you achieve those cute and stylish striped nail designs that you have always dreamed of. 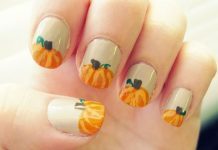 Read the post as it gives you an idea of how to get some easy nail designs using these nail art tutorials.